Note: This is a petition sent by my friend Honey. Since Menupause is a food site, I think this one is very important to me and hopefully to you. Thanx to my friend Honey for sending it. Nearly 50 million Americans, including more than 15 million children, are currently going hungry.1 As the richest nation in the world, it’s tragic that so many live in food insecure homes. I recently introduced landmark legislation to combat hunger and protect our environment by reducing food waste across the country. My comprehensive bill includes a provision that would reform the “sell by” date most of our food carries. We all know that food is still safe and healthy far past that date — sometimes even years later — but these dates are set by manufacturers, some of whom are looking to turn a profit by selling more product when you throw yours away. We can reduce food waste and feed hungry families, but my bill may remain stalled in a dysfunctional Congress without all of us speaking out now in support. Reducing food waste will help feed millions of hungry Americans, protect our fragile environment, and slow the effects of climate change. Support Rep. Chellie Pingree’s Food Recovery Act now. 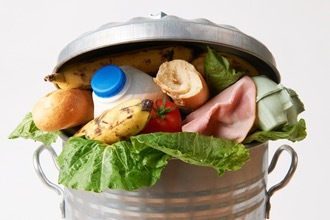 Tell Congress: Reduce food waste to help feed the hungry and protect the environment. Click here to sign the petition. By making it easier for consumers to know their food can still be safe, and by providing incentives for business and farms to reduce food waste, we will go a long way to protecting the environment and preventing hunger for millions of Americans. One provision of my legislation has already passed the House, but given the dysfunction in Washington and resistance from food manufacturers, getting this bill passed will be difficult without your activism today. Will you join me and add your name to my petition urging Congress to help feed America’s most vulnerable and protect our environment by reducing food waste? This entry was posted on Tuesday, January 26th, 2016 at 8:49 pm	and is filed under Health Matters: Flashes & Reports. You can follow any responses to this entry through the RSS 2.0 feed. You can skip to the end and leave a response. Pinging is currently not allowed.